Sen. Nelson is facing a tough challenge from Rick Scott, who has weakened environmental protections in Florida for the past eight years as governor. And in the middle of this heated campaign, environmental issues have forced their way into the race. Florida’s waters have been hit by an unusually persistent red tide in the Gulf of Mexico and a highly toxic blue-green algae bloom in its inland waterways. And while Scott cut $700 million in funding from water management as governor, Sen. Nelson has worked to protect Florida’s coasts from offshore drilling, led the charge on holding BP accountable for its infamous 2010 oil spill, and more. President Trump won Montana by more than 20 points, and now he’s going after Sen. Tester, an environmental champion. 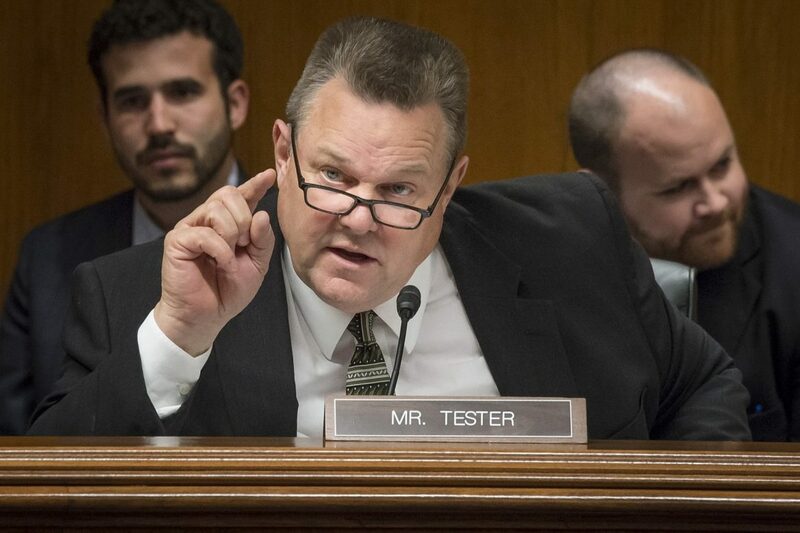 Given Montana’s deep red trends, Sen. Tester should be underwater—but he’s barely hanging on. The Cook Political Report rates this race a Toss-Up and RealClearPolitics’s polling average puts Sen. Tester three points over Rosendale. As the U.S. Senate’s only working farmer, Tester understands the consequences of unchecked climate change, and he’s one of the Senate’s most reliable leaders in protecting America’s public lands. Rosendale, for his part, is a real estate developer from Maryland who’s having a hard time getting his “rancher” image to stick. Rep. Rosen wants to preserve Nevada’s natural heritage and make the state a renewable energy leader, but she’s in a tight race against an incumbent with a terrible environmental voting record. While Sen. Heller may be the only Republican senator running for re-election in a state that Hillary Clinton won, he knows how to win a close race and the Democratic edge in Nevada has been fading. That said, though, a generic ballot that’s favoring Democrats is giving Rep. Rosen a fighting chance at unseating Sen. Heller. Rosen initially held a very slight polling lead, but more recent polling has given Heller the slight edge. Unlike Sen. Amy Klobuchar (D-Minn.), whose race is rated as “Solid D”, Sen. Smith’s race is only rated as “Lean D.” Recent polling shows that while she has a polling advantage, her lead is not as commanding as Sen. Klobuchar’s. Fortunately, Sen. Smith has developed a definitive fundraising lead in the third quarter. And even though she is a recent appointee to the position, Sen. Smith has already proved her environmental record in the Senate. Immediately after Trump’s EPA announced their Clean Power Plan replacement, Sen. Smith was one of a handful of senators who spoke out at a Democratic press conference denouncing Trump’s plan. After years of Democratic growth in the state, Ohio suddenly shifted rightward in 2016, with President Trump winning the state by a surprising nine points. But as resilient as Sen. Brown is—he outperformed Barack Obama by about three points in 2012 and he’s polling consistently well this year—we can’t take this race for granted. He’s been a reliable champion for our environment, and his opponent would be virtually the exact opposite, as we pointed out in a blog post earlier this year. Donald Trump broke a Democratic victory streak running back to 1992 when he eked out a victory here in 2016 with one simple message: “Trump digs coal.” Normally, the four counties surrounding Philadelphia are presidential bellwethers, but Trump won the state by instead flipping the more blue-collar Erie, Luzerne and Northampton Counties. These three, as well as other blue-collar counties throughout the state and those surrounding Pittsburgh also shifted rightward in 2016. As things stand, the race seems to favor Sen. Bob Casey. But come November, voters will choose between Trump endorsee Lou Barletta’s eager ambitions to dig deeper into Appalachian coal mines, and the incumbent Sen. Casey’s track record of fighting for a cleaner, healthier Pennsylvania. Rep. O’Rourke is running as an unabashed progressive in a deeply conservative state, but his charming authenticity and expansive ground-game initially eroded Sen. Cruz’s initial polling lead. The confirmation process of Judge Brett Kavanaugh seems to have energized Cruz’s base, but Rep. O’Rourke does have a slim shot—and a win here would be a huge environmental victory, to put it lightly. Sen. Cruz has denied man-made climate change as recently as his 2016 presidential bid, and in 2014, he proposed legislation that would have expanded offshore drilling and advanced the Keystone XL pipeline. Should Rep. O’Rourke pull off a win here, environmentalists will have one more champion in the Senate with someone who has successfully fought to protect public lands in his district and opposed environmentally dangerous policies such as Keystone XL and the U.S. withdrawal from the Paris Climate Accords. Cook rates this race as “Likely D,” but Sen. Baldwin’s original apprehension about this race may have been pre-emptive. Sen. Baldwin is generally polling well ahead of State Sen. Vukmir, and a recent Marquette University poll, often considered the gold standard of polling in Wisconsin, found that Sen. Baldwin is ahead by ten points. If we learned anything from 2016, though, it’s that we shouldn’t take our champions for granted. Sen. Baldwin has worked across the aisle and across the Great Lakes to defend Wisconsin’s natural resources, and she fought Scott Pruitt’s Environmental Protection Agency before it even began. State Sen. Vukmir, on the other hand, has voted against fighting invasive species and has prioritized developers over Wisconsin’s clean drinking water.